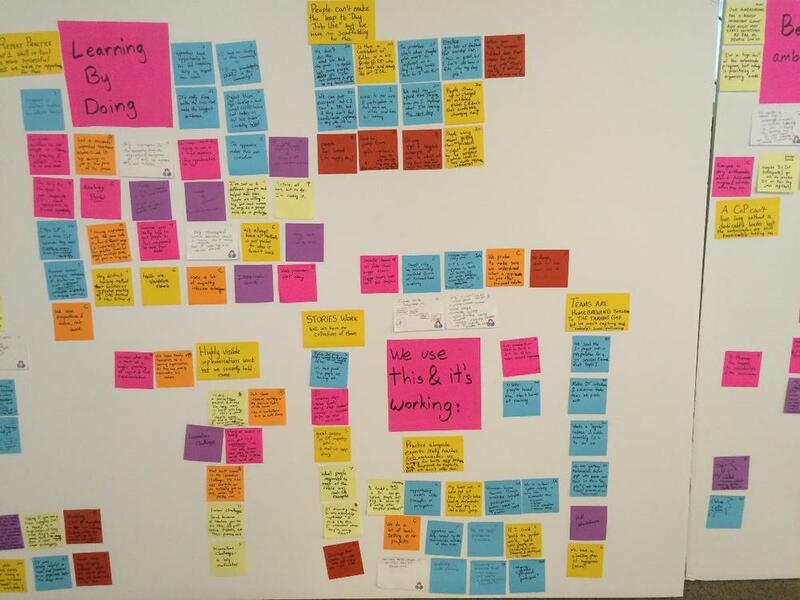 How do good Design Thinkers become great? 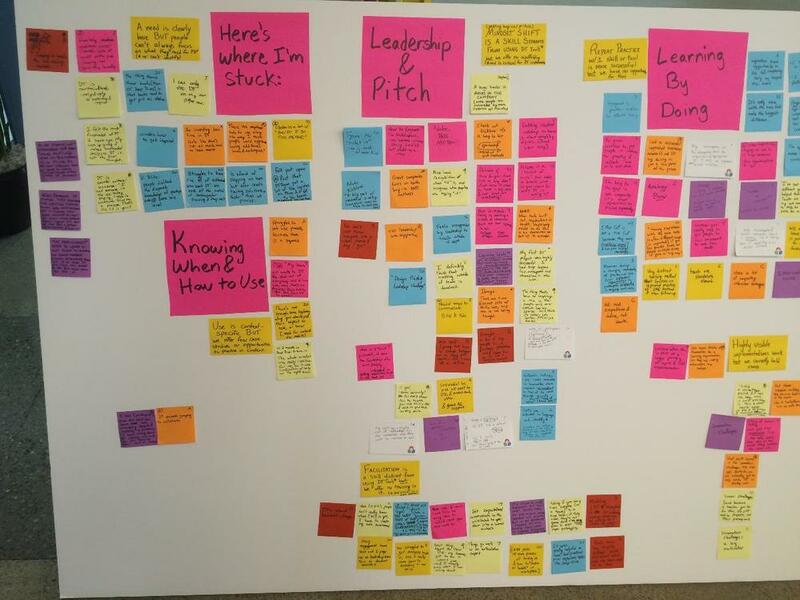 The Design Thinking movement within Capital One has really taken off, but once the initial workshops have been attended, there are few training opportunities for those who want to become more expert. 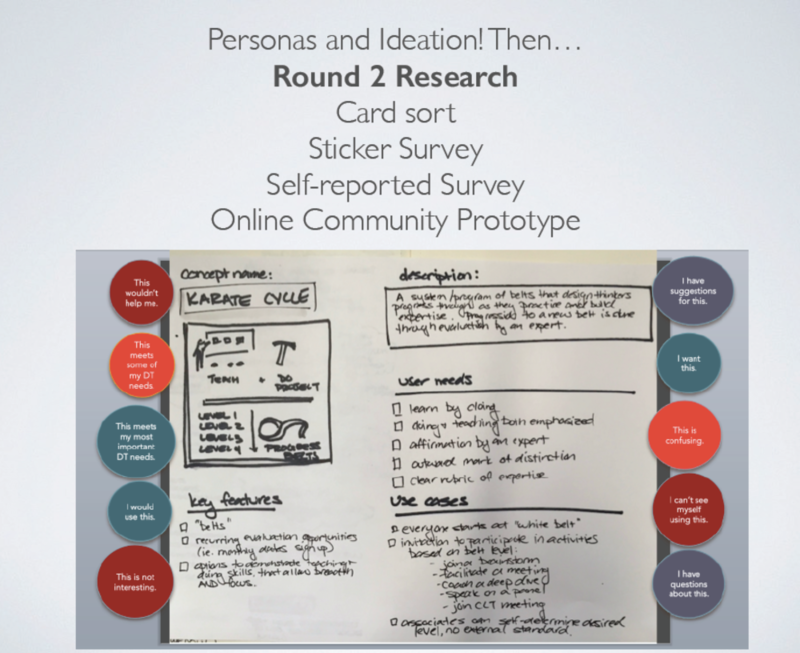 This three-month-long research project sought to discover how and when learning was happening and how the Design Thinking Team might start to meet the teaching needs of a population hungry for extended knowledge. Those who embrace Design Thinking at Capital One may find themselves improvising improvement opportunities after a first set of workshops. The size of demand for Design workshops means that grassroots initiatives of varying levels of quality are cropping up everywhere. Research and define parameters and ideate concepts for a community of design practice at Capital One. Primary and secondary research on communities of practice then led to stakeholder interviews, where patterns of learning began to emerge after five to ten interviewees. This was followed by ideation sessions of concepts, and then rapid prototyping. An online community of practice was prototyped and deemed unsuccessful for a variety of important reasons--including the need for learners to get holistic first-hand exposure to the imprecise nature of the design process. More evaluative research was performed on existing ideas by reaching back out to stakeholders. 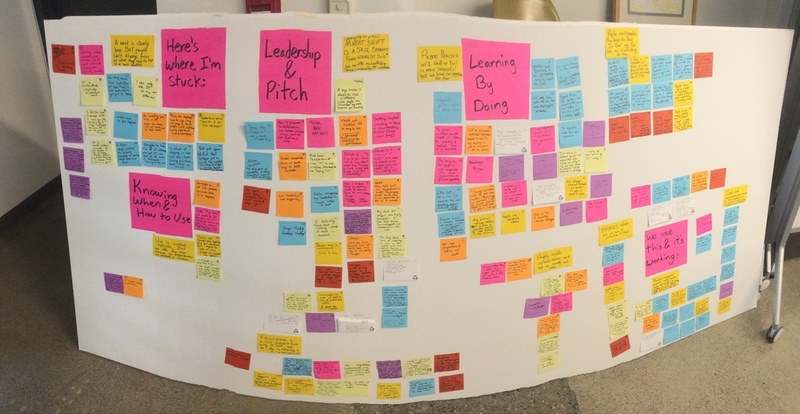 The biggest outcome was that for authentic continued learning, design thinkers at Capital One needed access to watching the experts work (in this case, the Design Thinking team), and opportunities to participate on the periphery of these activities. Many ideas of how to extend learning with self-sustaining group practice did not appeal to our audience because they needed a more knowledgeable expert as a guide or example. The outcome of this research is being continued by my collaborator as a full-time focus.